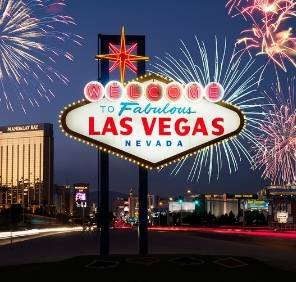 You have a great opportunity to spend an unforgettable holiday with car rental Las Vegas! All you need is to fill in our car rental form! Our mission is to find the proper car rental deal special for you. 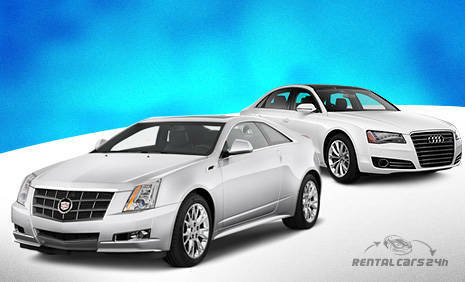 Use our car hire searching service to get the best offer of car rental Las Vegas. It’s cheap, easy and it won’t take you a lot of time. Choose the most suitable Las Vegas car rental location, get acquainted with Must Know and look through the Places to Visit with car rental Las Vegas! Las Vegas is a city in the state of Nevada (USA). It’s located in the central part of the Mojave Desert. 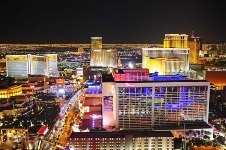 Las Vegas is one of the world's largest entertainment and gambling centers. Numerous casinos, hotels, daily concerts and shows attract tourists from all over the world. 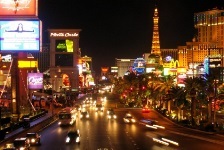 There are more than eighty casinos, thousands of gaming halls, many luxury hotels in Las Vegas. It’s very expensive and difficult to travel in the United States without your own car. So the car rental is a good choice if you want to see all attractions of the city in a few days. You should follow the rules of the road in the United States to avoid troubles with the police. The main thing is to observe the speed limits and the parking rules. Our first attraction is for those who want to feel adrenaline and like speed. You have a great opportunity to replace your car rental vehicle with the dune buggy and have an exciting trip in the desert. It’s awesome thing to do while you are in Las Vegas. 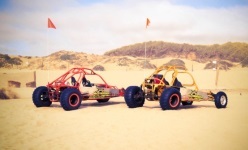 Only imagine this - the desolate sand dunes and your lightweight but very powerful custom-built mini Baja dune buggy. This race will bring you a new bright unforgettable emotion. You can drive in the real American muscle car if the racing in desert doesn’t attract you. Of course, we all try to choose the most comfortable car rental vehicle that doesn’t require a lot of fuel. 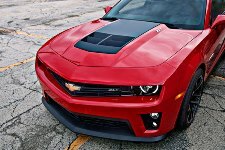 And of course, many of us would be glad to drive in the real supercar like Ford Mustang Shelby or Chevrolet Camaro. Las Vegas offers you the chance to drive in one of such supercars through the splendid Red Rock Canyon. Use your car rental vehicle to visit Madame Tussauds Museum in Las Vegas. The museum isn’t very big but it will take approximately one hour to see all wax figures. You can take as much pictures as you wish, because it’s free and isn’t forbidden in this museum. There are such famous people like Barack Obama, Hugh Hefner, Arnold Schwarzenegger, Ben Affleck, Brad Pitt, Angelina Jolie and many others. The Indoor Skydiving is the best choice for those who want to try skydiving but the fear of heights stops them. You will easily get to the indoor skydiving center with car rental Las Vegas. This amusement has some advantages over the real jump from the plane. The main benefits are safe and length of freefall. The ordinary skydiving can last maximum 30-60 sec but the indoor skydiving can last as long as you want. Wet 'n' Wild is the huge water park in Las Vegas. Use your car rental vehicle to drive the whole family to this fantastic attraction. It’s a perfect place for the whole family. 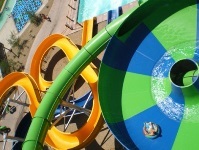 There are safety slides for small children and extreme and real fast slides for adults. There are more than 25 slides and attractions in total, so everyone will find something special. Definitely worth a visit while you are in Las Vegas. RentalCars24h.com offers you reliable car rental Las Vegas services that will help you to feel free and independent when moving around the town. Providing best online prices for car hire Las Vegas services, RentalCars24h.com allows you to save money each time when you rent a car in Las Vegas.